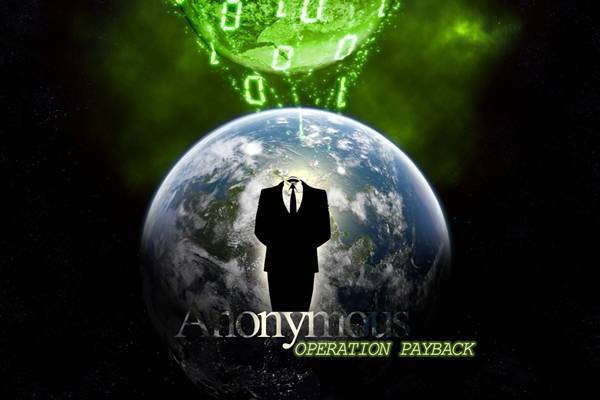 Tunisia under attack by Anonymous Hackers - Press Release ! The faction of Anonymous that launched the anti-Scientology movement Chanology and has more recently been supporting Wikileaks through various information and direct action campaigns has launched an attack on the Tunisian government's web capabilities in retaliation for the censorship policies it has recently put in place. Their main site is down and will remain so for the near future; other actions are imminent. I have been given the following press release from the faction in question and have posted it below the fold; further updates will be added as they occur. I have replaced the original version with a better translation (it is available in several languages and I can provide those upon request). A time for truth has come. A time for people to express themselves freely and to be heard from anywhere in the world. The Tunisian governement wants to control the present with falsehoods and misinformation in order to impose the future by keeping the truth hidden from its citizens. We will not remain silent while this happens. Anonymous has heard the claim for freedom from the Tunisian people. Anonymous is willing to help the tunisian people in this fight against opression. This is a warning to the Tunisian Government: violation of the freedom of speech and information of its citizens will not be tolerated. Attacks will continue until the Tunisian Government respects all Tunisian citizens right to Free Speech and Information and ceases the censoring of the internet. It's in the hands of the Tunisian governement to stop this situation. Free the net and attacks will cease. Continue your oppression and this will just be the begining.